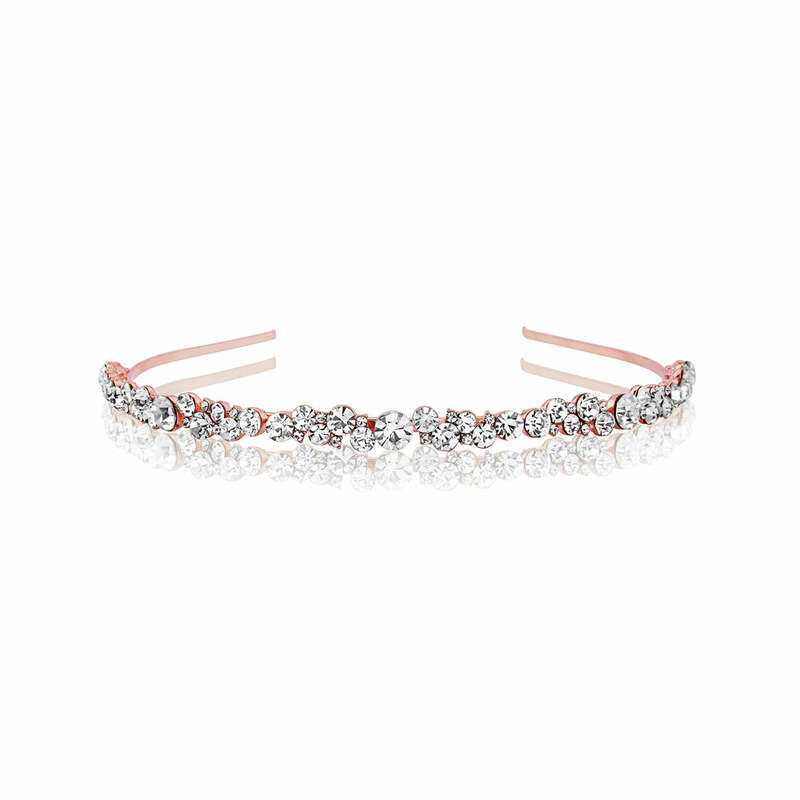 Classic charm and modern day chic combine in this subtle crystal rose gold headband. A fabulous choice for weddings or special occasions. Our sparkling Rose Gold Charm Headband combines contemporary charm with the exquisite elegance of vintage bands. Featuring an abundance of clear Austrian crystals in various sizes on a blushing rose gold band, this delightful piece is subtle and exudes understated glamour. 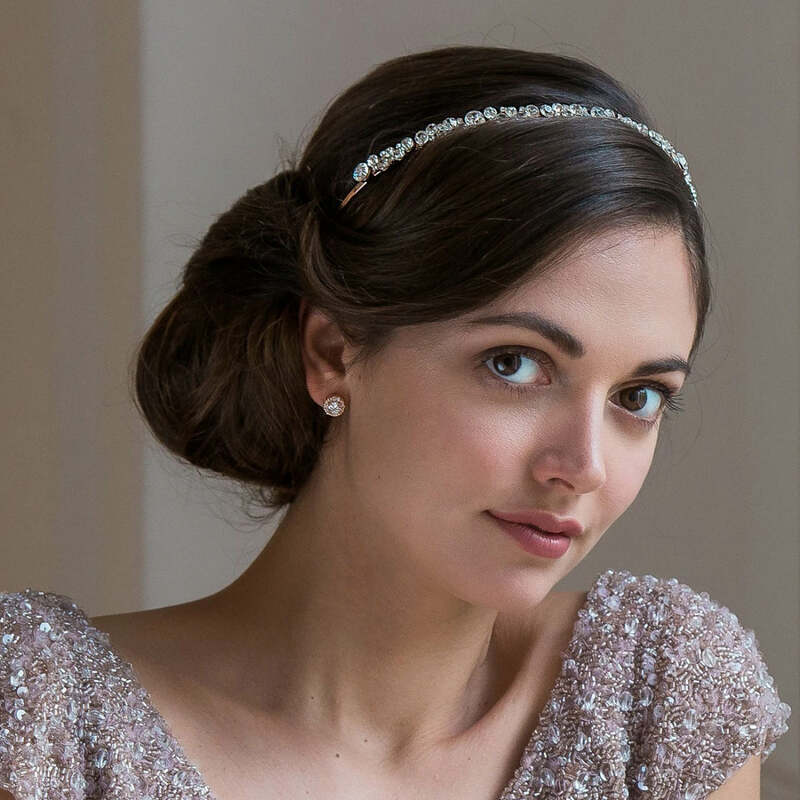 A beautiful wedding headband for brides and bridesmaids who adore a classic style, Rose Gold Charm looks delightful with a blush gown or complementing a blush pink or antique rose colour scheme. From an elegant up-do to loose curls or a classic bob, this exquisite headband will dress your tresses with divine sparkle. For a glamorous evening event, team with rose gold crystal earrings and necklace and the oh-so-current blushing tone will combine vintage charm with modern day chic.